The GST Council (apex decision making body for GST) on July 9, 2018 had unveiled the draft of proposed changes in GST law before they were introduced in the ongoing monsoon session of the Parliament. Total 46 amendments were suggested as a major step towards facilitating trade and ease of doing business. More or less these Bills are drawn on the line of amendments as were suggested by the GST Council in their Draft Amendments (with certain drafting corrections), but there are certain crucial changes which were either not forming part of the Draft Amendments but forms part of the Amendment Bills or those which were earlier forming part of the Draft Amendments now stands withdrawn from these Bills. Moreover, few amendments are now proposed to be amended/inserted from retrospective effect. Importantly, the proposal to delete interest applicability when GST ITC is reversed for non-payment of invoice amount after 6 months from date of invoice does not find place in the CGST Amendment Bill. Further, non-availability of transitional credit of cess is made retrospectively applicable. This article summaries the important differences in the Draft Amendments as earlier proposed by the GST Council viz-a-viz the Amendment Bills along with discussing gist of key 21 amendments. An explanation is proposed to be inserted in Section 2(102) of the CGST Act, which provides clarity that although ‘securities’ [s. 2(h) of Securities Contract Regulations Act, 1956] are excluded from the definition of ‘goods’ and ‘services’ in the CGST Act, but if some service charges or service fees or documentation fees or broking charges or such like fees or charges are charged in relation to transactions in securities, the same would be a consideration for provision of service and chargeable to GST. The term ‘supply’ is proposed to be amended to exclude activities/ transactions listed in Schedule II to ensure that the activities/ transactions as per Schedule II is to determine only whether the same is supply of goods or services. Hence, activities/ transactions listed in Schedule II (as supply of service or supply of goods) shall be taxed only when they constitute ‘supply’ in accordance with provisions of Section 7(1)(a), (b) and (c) of the CGST Act. Stated changes are made applicable retrospectively in the CGST Amendment Bill. Thus, there shall not be any past litigation on account of any transaction merely covered under Schedule II, but otherwise not a ‘supply’. Import of services by entities which are not registered under GST (say, they are only making exempted supplies) but are otherwise engaged in business activities shall be chargeable to tax when such services received from a related person or from any of their establishments outside India. Merchant trading i.e. Supply of goods from a place in the non-taxable territory to another place in the non-taxable territory without such goods entering into the taxable territory. Supply of goods in the course of High Seas Sale and Sale of warehoused goods: To ensure no double taxation on such transactions before clearance for home consumption as clarified by recent Circulars stating that IGST would be payable only once at the time of clearance of goods for home consumption, now, these transactions are proposed to be included as ‘neither a supply of goods nor supply of services’ in Schedule III, which is a major relief to the taxpayers. Note: It is also proposed that the same shall not be regarded as exempt supply for the purposes of input tax credit reversal. It is proposed to omit existing Section 9(4) of the CGST Act and instead, grant an enabling power for the Govt. to notify a class of registered persons who would be liable to pay tax on reverse charge basis in case of receipt of specified goods or services or both (as against taxable goods or services or both) from an unregistered supplier. The details of such specified persons are to be notified in future. The IGST Amendment Bill prescribes similar changes in Section 5(4) of the IGST Act. 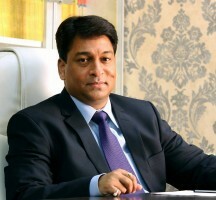 It is proposed to give effect to its earlier decision of GST Council to increase threshold limit for the composite suppliers from INR 1 crore to 1.5 crores and further to enable registered manufacturers and traders to opt for composition scheme u/s 10(1) of the CGST Act even if they supply services of value not exceeding 10% of the turnover in a State/Union territory in the preceding FY or Rs. 5 lakhs, whichever is higher [Presently, registered persons engaged in the supply of services (other than restaurant services) are not eligible for the composition scheme]. The CGST Amendment Bill now also clarifies that this limit shall apply for services other than restaurant services. The amendment seeks to correct a drafting error in the earlier law, as the issuance of invoice/other documents are also to be included as specified in other sub-sections of Section 31 of the CGST Act. Enables GST ITC available to recipient on deeming fiction when goods or services supplied by supplier on direction of registered person to any other person as on agent or otherwise. Earlier this deeming fiction was present only in case of “bill-to-ship-to” supply of goods. The same has been extended to services as well. Proposal to delete interest applicability when GST ITC is reversed for non-payment of invoice amount after 6 months from date of invoice does not find place in the CGST Amendment Bill. ITC non-availability in case of motor vehicles restricted to only those meant for transportation of persons having approved capacity of not more than 13 persons (including the driver) except when used for specified purposes. Further, the words ‘other conveyances’ have been removed. The amendment is sought to make it clear that input tax credit would now be available in respect of dumpers, work-trucks, fork-lift trucks and other special purpose motor vehicles. No ITC shall be available on vessels and aircrafts except when used for specified purposes under clause (aa) – scope of credit is widened to also include taxable supply of imparting training on flying aircraft. Proposal to allow ITC in respect of motor vehicles if they are used for transportation of money for or by a banking company or a financial institution, is withdrawn in the CGST Amendment Bill. The proposal is to clarify that GST ITC is not available in respect of services of general insurance, servicing, repair and maintenance in respect of those motor vehicles, vessels and aircraft on which ITC is not available. Extent of ITC availment on services of general insurance, servicing, repair and maintenance on motor vehicles, vessels or aircraft is extended in the CGST Amendment Bill to allow ITC to even manufacturer of such motor vehicles, vessels or aircraft and to those engaged in supply of these services in respect of motor vehicles, vessels or aircraft. Presently, in accordance with the provisions of Section 17(5)(b), ITC is not available in respect of food and beverages, health services, travel benefits to employees etc. Now, it is proposed that ITC in respect of food and beverages, health services, renting or hiring of motor vehicles, vessels and aircraft, travel benefits to employees etc., can be availed where the provision of such goods or services is obligatory for an employer to provide to its employees under any law for time being in force. The CGST Amendment Bill further allows ITC on renting or hiring of motor vehicles, vessels or aircraft when they are used for purposes specified in clause (a) or (aa). It is clarified by way of explanation inserted in Section 17(3) of the CGST Act that no reversal of common ITC shall be required on activities or transactions specified in Schedule III (other than sale of land and, subject to clause (b) of paragraph 5 of Schedule II, sale of building) by excluding it from the ambit of ‘exempt supply’ for the purpose of reversal. The proposed amendment in Section 25(2) of the CGST Act allows multiple places of business of the taxpayers in addition to the different business verticals within the state to be registered separately. This provides a major relief to certain industries like transporters, PSU etc. by increasing the ease of doing business. It is proposed that State of Assam, Arunachal Pradesh, Himachal Pradesh, Meghalaya, Sikkim and Uttarakhand be removed from special category States along with J&K in explanation (iii) to Section 22 of the CGST Act and, thereby, increase the threshold limit for registration from 10 lakhs to 20 lakhs in these States. Earlier the proposal was restricted to only Assam. Clause (x) of Section 24 is being amended to provide that only those e-commerce operators who are required to collect tax at source under Section 52 of the CGST Act would be required to take compulsory registration. Other e-commerce operators who are not required to collect tax at source under Section 52 would henceforth not be required to take registration if their aggregate turnover in a financial year did not exceed Rs. 20 lakhs. Provision inserted for separate registration of a person having a unit(s) in a SEZ or being a SEZ developer as a business vertical distinct from his other units located outside the SEZ. This provision is already contained in Rule 8 of the CGST Rules, 2017. The CGST Amendment Bill deletes the earlier proposal of granting separate registration in respect of each unit to a person having multiple units in a SEZ. It is proposed to insert a new proviso to Section 29(1) & (2) of the CGST Act, to provide for suspension of registration during pendency of proceedings relating to cancellation of registration. This would relieve the taxpayer of continued compliance burden under the law till such time as the process of allowing cancellation of registration is completed. The amendment seeks to permit a registered person to issue consolidated credit / debit notes as prescribed under Section 34 of the CGST Act in respect of multiple invoices issued in a Financial Year without linking the same to individual invoices. A new provision is being introduced by inserting section 43A, to enable the new return filing procedure as proposed by the Returns Committee and approved by the GST Council. However, the detailed mechanism of giving effect to the above proposal is awaited. Provisions have been inserted to provide for prescribing the procedure for quarterly filing of returns for specified class of registered persons. It is proposed to allow the GST practitioner to perform other functions such as, filing refund claim, filing application for cancellation of registration etc., apart from furnishing the details of outward and inward supplies and various returns on behalf of a registered person. To allow fund settlement on account of IGST, it has been proposed that a registered person would be able to utilize credit on account of CGST, SGST/UTGST once the registered person has exhausted all the ITC on account of IGST. It has been further proposed to insert an enabling provision 5A in Section 49 of the CGST Act that allows the Government, on the recommendation of the GST council, to provide a specific order in which a registered person can utilize Input tax credit viz. integrated tax, central tax, State tax or Union territory for the settlement of the tax liability. Relevant date for filing refunds in case of unutilized ITC – Amendments are proposed under explanation 2(e) to Section 54 of the CGST Act to prescribe that the relevant date in the case of refund of unutilised ITC arising out of inverted duty structure, shall be the due date for furnishing of return under section 39 for the period in which such claim for refund arises. Refunds in case of export of services – Amendments are proposed under explanation 2(c) to Section 54 of the CGST Act which allows receipt of payment in Indian rupees, where permitted, by the RBI in case of export of services since particularly in the case of exports to Nepal and Bhutan, the payment is received in Indian rupees as per RBI regulations. Unjust Enrichment – Section 54(8)(a) of the CGST Act is proposed to be amended to allow unjust enrichment in case of refund claim arising out of supplies of goods or services made to SEZ developer/unit. It has been proposed by the Council to broaden the scope of persons to include “distinct persons” as provided under Section 25(4) and 25(5) of the CGST Act so that at the time of recovery of tax the authorities can collect the tax from the other entities of the registered person operating in other parts of India. It is proposed under Section 107(6) of the CGST Act to put a ceiling on the limit of the amount to be deposited before filing an appeal to the appellate authorities which is 10% of the disputed tax amount subject to maximum limit of Rs.25 crores. Further, it is also proposed under Section 112(8) of the CGST Act, the maximum amount to be deposited to file appeal from the appellate authority to appellate tribunal is 20% of the disputed tax amount along with the amount deposited u/s 107(6) subject to maximum of Rs. 50 crores. New amendment in the CGST Amendment Bill seeks to increase the time limit before which proceedings under Section 130 can be initiated from seven to fourteen days. It is proposed to clarify that only transitional credit of eligible duties can be carried forward in the return and not all credits. This provision is already contained in Rule 117(1) of the CGST Rules. The eligible duties do not include the additional duty of excise leviable under section 3 of the Additional Duties of Excise (Textile and Textile Articles) Act, 1978. The CGST amendment Bill makes this amendment as retrospective applicable. It is proposed to insert a proviso in Section 143 to provide that the period of one year or three years for Inputs/ CG may, on sufficient cause being shown, be extended by the Commissioner for a further period not exceeding one year and two years respectively. It is proposed to allow acceptance of receipts in Indian currency for export of services, wherever it is permitted by RBI u/s. 2 (6) (iv). The reference to Panchayat under Article 243G is sought to be added in the definition of Governmental authority in the Explanation to 2(16). It is proposed u/s 12 (8) that the transporters located in India transporting goods outside the Indian territory would not be liable to pay IGST as a place of supply is outside India and would amount to an export. It is proposed under Proviso to Section 13(3)(a) that no tax liability shall be imposed on the job work that is done on the goods imported and then exported. Section 20 – The IGST Amendment Bill prescribes the maximum ceiling of INR 50 crores/ 100 crores as pre-deposit for filing appeal to Appellate Authority/ Appellate Tribunal respectively. The amendment is made in line with amendments proposed in Section 107(6) and 112(8) of the CGST Act, 2017. It is proposed u/s 10 (3A) that the fund remaining unutilized in the fund may distributed among the center and the states on an adhoc basis on the recommendation of the council. U/s 7(4)(b)(ii) it has been proposed to change the name to Central Board of Indirect Taxes and Customs constituted under the Central Boards of Revenue Act, 1963 (54 of 1963).